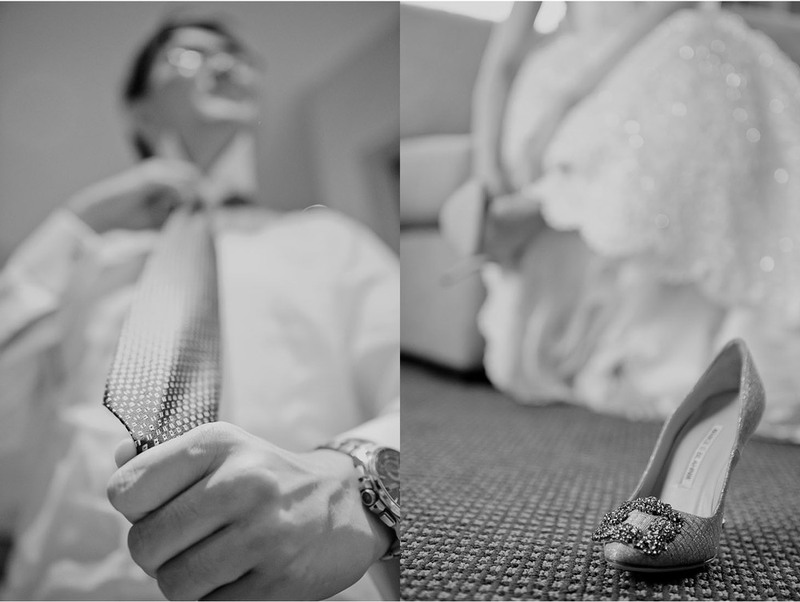 Cloris and Chao first approached us back in December and I really loved how clear and concise they both were regarding what they expected from their wedding images. They both knew exactly what they wanted and felt like our style matched their vision which is a perfect situation for us to be in when it came down to their wedding day a few weeks back in July at the historical Casa Loma in downtown Toronto. We arrived first thing in the morning to their hotel in Markham where we had a bit of time to capture the start of this amazing day. Cloris was ready in her traditional dress and having some down time while Chao and the guys were getting ready to enter Cloris' room where he would have to pass several tests and games before being able to finally see his bride. 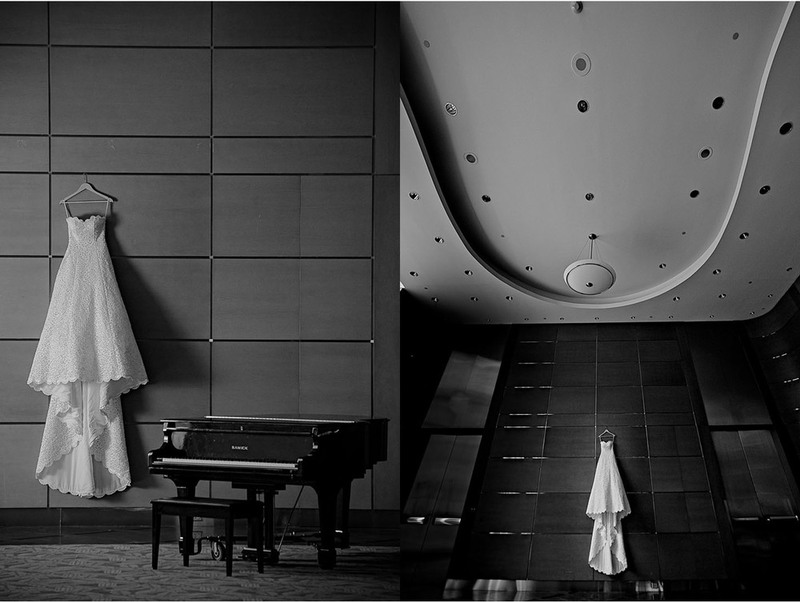 We then had a few last minutes to quickly photograph Cloris' stunning wedding dress. Sheena and I headed down a few floors before taking a few pictures off a mirror in the hallway while using the beveled edge of the glass to create a funky look. We then found a very cool, abstract looking wall and rolled in a piano to add the final touch (the piano happened to be nearby by ain't the easiest thing to roll around on a carpet). 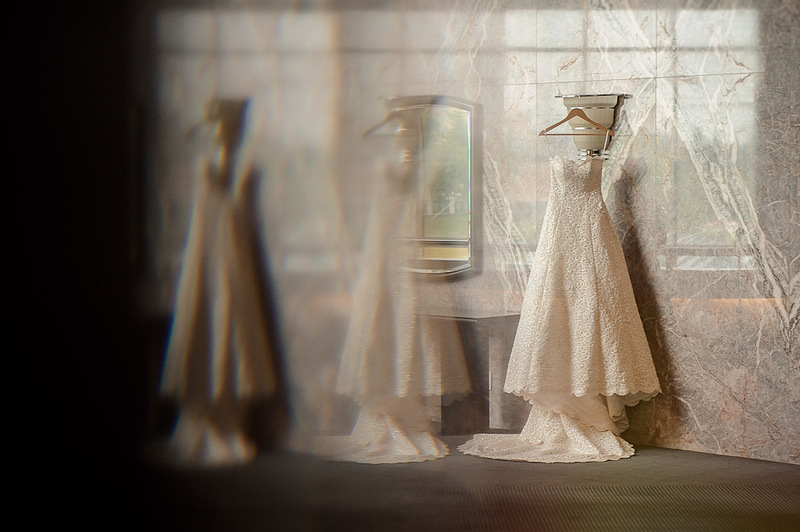 Then, just as we returned to the room, it was about time for Chao to see Cloris for the first time in her wedding dress. We used a hallway near the main entrance and, after quickly snapping a picture of the couple from the highest floor (I knew that I wanted this shot since we arrived so I was glad that Cloris and Chao were open to it seeing how we were in a rush to drive downtown). 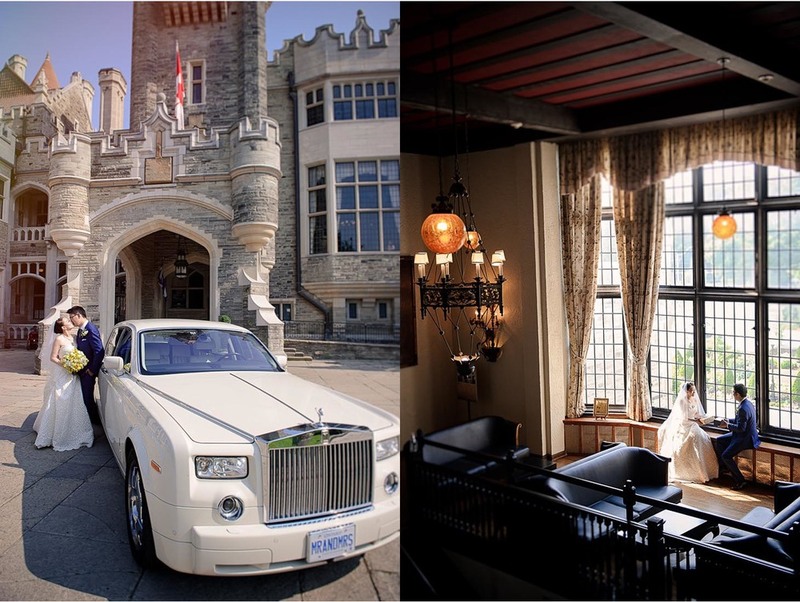 We then set off to Casa Loma on a glorious afternoon and I immediately gravitated towards the ridiculously amazing Rolls Royce that Cloris and Chao had for the day. With so many options to use the car it was hard to know where to start but, between the three of us photographing this time of the day, we all had some great shots in the end. Just before the ceremony, the bride and groom had a traditional gift exchange. Obviously, Chao hit this one out of the ball park as Cloris' reaction says it all. After the ceremony, it was time to party in the main reception of Casa Loma (the old library). Cloris and Chao did not leave any detail unnoticed as they had a fantastic magician, dancing games on large screens set up around the room, and lots and lots of toasting. Chao even had to prove that he was drinking each toast but turning his glass upside down each time. I'm not sure how he held up as there were many tables and multiple toasts that seemed to take place at each table! Then, with a final speech from the bride and groom, the guests enjoyed the rest of the night before our time was up. We were so thrilled to be a part of such a special night and honored to be able to photograph such a fantastic couple and their guests. All the best!